Many neck complaints are also caused by a too stiff thoracic spine resulting in higher pressure on the neck vertebrae. 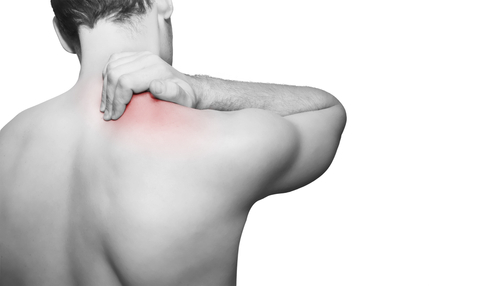 Neck complaints are then the symptoms, the cause however are the too stiff thoracic vertebrae. The Rolastretcher together with the neckstretcher are the ideal combination to fight or prevent these complaints. You receive a € 10 discount at purchase of the combination! Tension headaches are caused by muscle tension in the neck, shoulders and head, muscular tension may result from a poor posture, social or psychological stress or fatigue. Tension headache usually starts in the morning or early afternoon and gets worse as the day progresses. People often feel a steady, moderate or severe pain above their eyes or in the back of their head. Sometimes they feel a pressure as if they have a tight band around their head. 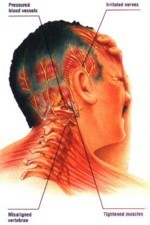 The pain may radiate into the whole head, sometimes even to neck and shoulders.